Many directors see a movie virtually projected inside their heads after reading a script. They see the faces of their heroes, usually played by A-list Hollywood actors. In their minds these directors hear the lines read with the right intonation and specific facial expressions. No matter how many years of experience they have or how many times they have read the script, they envision the same mini-movie with the same intonations and facial expressions each time. Many directors call this “their vision” of the script, and believe that this fantasy is enough to start shooting. However, this type of “vision” is limited and flat. It denies and eliminates all the creative efforts of actors and it is based on what directors know about movies rather than what they know about the real life. Such an approach denies decades of theory and practice of directing and acting. It also leads to Result-Oriented directing. Learning the directing methods (or tools) is a necessary element of preparing to direct, whether you are obtaining formal education or learning the craft on your own. Being another Result-Oriented director will not only prevent you from achieving great performances, but it will also lead professional actors to lose respect for you. Each director is one of a kind; he or she has an exclusive, innovative vision. Companies choose specific directors because of the unique perspective and voice they bring to the scripts they are hired to direct. Thus, directing is both an art and a craft. Similarly, each actor has an individual personality, cultural and educational background. Actors also come from different acting schools and will have varying views on directing and acting. When working with actors it’s important to talk to them. Ask them about their preferences, and learn how they are used to working. A director should know what methods and techniques actors prefer to use in order to avoid miscommunication and misunderstandings. For instance, if you are familiar with the Stanislavski System, and you cast actors trained according to his school, you will know how to direct them in order to get a distinguished performance. When the director and the actors use the same language, the results are superior. Directing actors is a complex balance of managing of human behavior and applying the science of psychology. 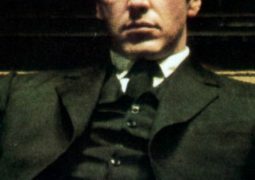 We will explore a number of methods for directing actors, however this does not mean that all of these techniques are universal and can be applied to any actor. Earlier I mentioned that each actor is unique. The director should build a relationship with her actors and learn about the personality, working style and professional habits of each actor before he starts to work on a project. This is why many film directors frequently choose to work with the same actors over and over again—because the director has already learned how a particular actor works and how to successfully direct and communicate with her. Such collaborations may span years or even decades. People interact on many levels: through our body language, through our tone of voice, and finally through the content of our words. The psychology of human relations has not changed significantly over the course of human history. Even two thousand years ago Homo sapiens had the same emotions and feelings as they have today. In a very distant past, people fell in love and felt grief almost like we do it now, expressing similar emotions. Though technology develops very quickly, our emotional worlds have not changed since ancient times. Reactions and impulses have remained the same over thousands of years. 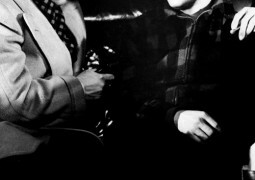 Directing and acting techniques are based on the principles of human behavior. 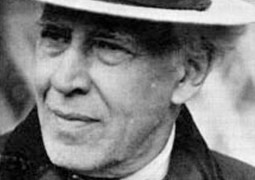 All successful directing and acting methods have not modified significantly in the last 100 years since Stanislavski’s techniques emerged and developed. Objectives, actions verbs, characterization, sense memory and other methods remain almost the same. Each new generation of teachers simply interprets the tools of a directing and acting in new ways. This is why books written on the subject more than 50 years ago are still relevant. Intelligent and creative directing can change the quality of a performance significantly. But is creating a remarkable and impressive scene our main goal? 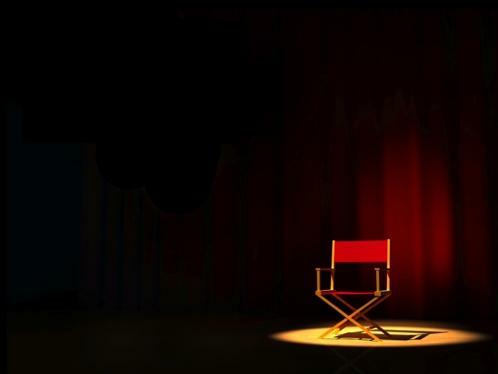 What is the primary purpose of directing actors? Let’s explore it. (1) To put on a truthful and extraordinary performance in each basic part (or “beats”) of a film or a play—this is exactly what we want for most styles and genres. Any art piece is nothing more than a multiplicity or congregation of its smallest units. Film and stage performances are dynamic and consists of elements of different intensities and emotional colors. It can be compared to an oil painting that consists of many different brushstrokes of various colors and shapes. (2) To artistically combine those small elements (beats) to tell story the director wants. Any piece of art is just a combination of those units. The key is how to aggregate them in order to tell the story the way we want to. A director assembles a whole story beat by beat, just as an artist paints a portrait stroke by stroke. Each beat in the scene is like a brushstroke. It is up to the artist to choose what kind of brush he will use and how long the brushstroke will be. Similarly, it is up to the director to choose what kind of action verbs she will use for each beat of the scene, and how long each action verb will last. (See Tool # 3 Action Verbs or Actions). The director’s goal is to bring a work of art into existence by making clever choices about how to organize the smallest elements of a scene, rather than by extracting extraordinary performances out of the actors. It’s a job based on creative choices, not mechanical decisions. There are an infinite number of ways to create a movie from the same script. Therefore, any play or literary masterpieces can be adapted millions of times and each adaptation will be different: a new story with unique characters. So how do directors do it? How can you make the proper choices to best express your vision? As intuitively obvious as this may sound, first and foremost you have to have a story you want to tell and then you will have a vision of the best way to tell it. If you do not have an idea or a STORY that you want to tell, then you have nothing original to direct. Of course, you can direct a scene or even an entire film based on someone else’s script—that normally happens every day in the film industry. But even in this case, these particular directors are chosen specifically because they bring their unique, creative vision to the scripts they are hired to direct. Second, highly intelligent and wise directing is based on the artistic choices coming from intuition—a heart, in other words. Film and theater are forms of art, meaning that all decisions come from a creative spirit or INTUITION. Earlier, in Chapter 7, Main Skill Required To Be A Director, of this book I mentioned that it’s very important for a director to have intuition, but that blindly following one’s intuition usually leads to problematic results. It’s a director’s job to perceive, to feel, and to make decisions during rehearsals or filming to change directions if needed. A director can fix a problem with an actor’s performance in thirty seconds by giving her an alternative direction. It starts with your intuition—your ability to recognize a truthful performance. Learning the techniques and methods for directing will eventually provide you with the framework in which your intuition will work best. Intuition will not only help you to recognize whether a performance was natural, but it will also help you make creative choices about how to apply the tools of directing. Your knowledge of the methods is key in directing, just like musicians and composers need to spend a lot of time learning theory before they start to create their masterpieces. First, we will review once more, what a direction is. Then, we will cover the basics of giving the most effective directions. Directions are the instructions to the actor, which include basic explanations, descriptions, and specific orders. (1) A direction should not include any emotions or expressions (NO RESULT). In the previous chapters we discussed the importance of avoiding a Result in directing. (2) A direction must be SPECIFIC. A general, uncertain or vague direction is never a good thing. It kills acting. Only precise instructions will create an incredible performance. We will study this requirement in the next chapters. (3) A direction should create a CONNECTION between actors. Keeping actors connected to each other helps your actors perform life-like behavior. The connection creates a chemistry or communion between actors. 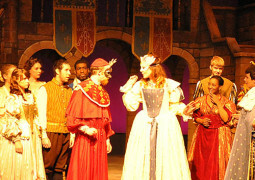 A director usually gives instructions to actors before the performance. Often these are quite lengthy, but sometimes the instruction is just one important word. Even one word is enough to change a scene significantly. Choosing this single word is the art of directing actors. We will cover this in much greater depth throughout the book. The SUPER OBJECTIVE is what does your character wants more than anything from life throughout the film or play. The SCENE OBJECTIVE is what does your character wants more than anything throughout the scene. CHARACTERIZATION is the actor and director’s process of creating a distinct character. ACTION VERBS or ACTIONS are mini-objectives attached to the smallest elements of a scene (often referred to as BEATS). The FACTS or GIVEN CIRCUMSTANCES are an accumulation of all the facts that surround and inform the characters throughout the script. IMAGES are the pictures an actor sees in his mind when he thinks, speaks or acts in each scene. CONCENTRATION OF ATTENTION is when an actor focuses his attention on a specific area when he thinks, speaks and acts throughout the script. EVENTS are the significant emotional incidents that happen in each scene. THE METHOD OF PHYSICAL TASKS is when you use a physical action to triggers an emotion so the actor gives you a natural behavior. ATMOSPHERE refers to the physical and emotional surroundings of the actor on the film set or theater scene. 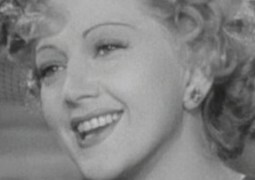 director’s method for expressing the character with inner gestures. FEELING FOR TRUTH is the process of determining how far an actor should go in his belief that everything in the script really happened. FEELING FOR STYLE is the ability of the actor or director to distinguish acting performances of different styles and genres. SENSE or SENSORY MEMORY is the ability to remember sensory impressions experienced in everyday life using the five senses. OBSTACLES are the emotional, physical or mental problems that make it difficult for an individual to achieve his goals. SUBSTITUTION is an acting/directing technique in which one actor, in his imagination, substitutes another actor with a person from real life in order to pursue his SCENE OBJECTIVE. INNER MONOLOGE is dialogue inside the actor’s head that she does not say aloud. a great piece by Ernest. 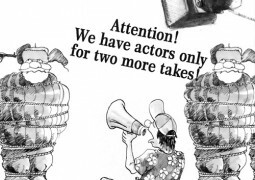 A must read for all directings on working with actors! This is a great list of director’s tools. Thank you very much for this post!